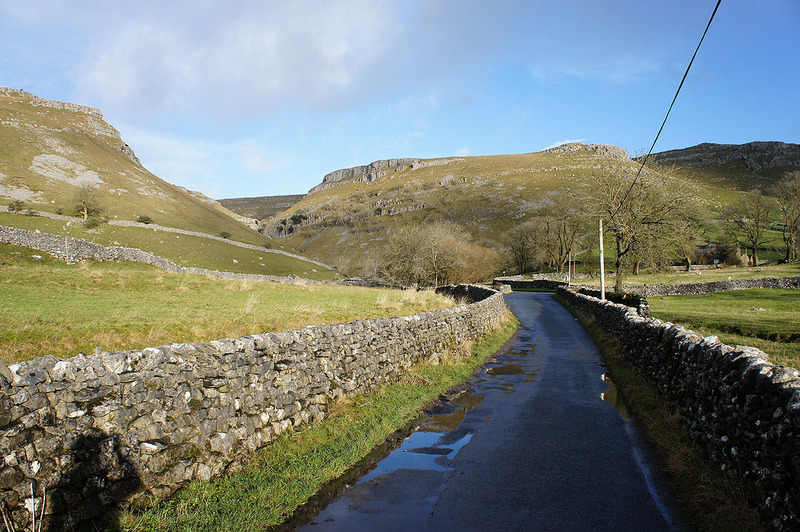 With the forecast for the rest of the week not looking too good I decided to pop out for a few hours this afternoon and go to Malham. 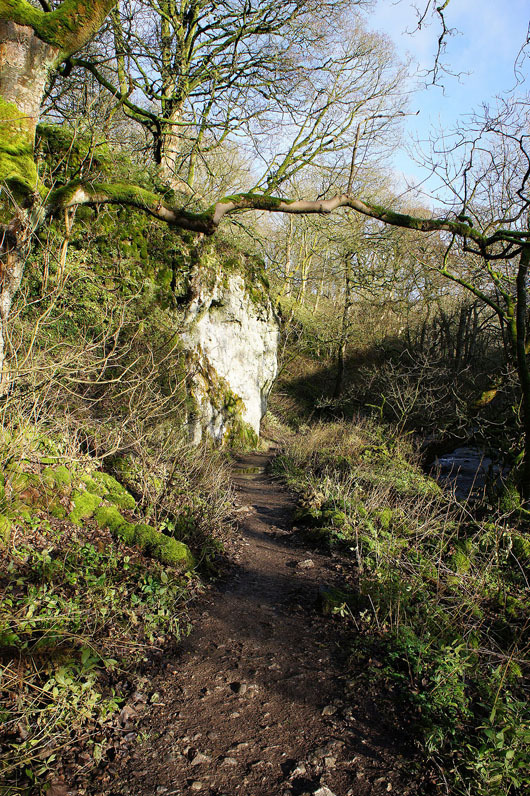 There's a lot of great scenery close at hand that can be seen even if you have just an afternoon to spare. 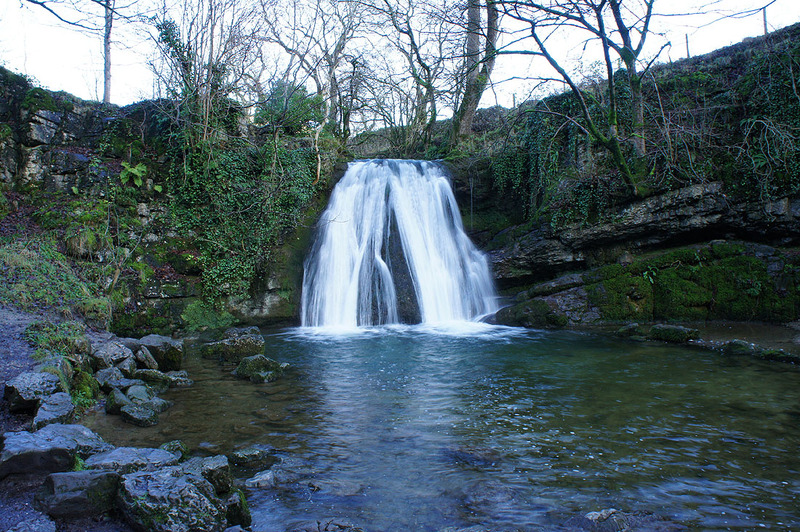 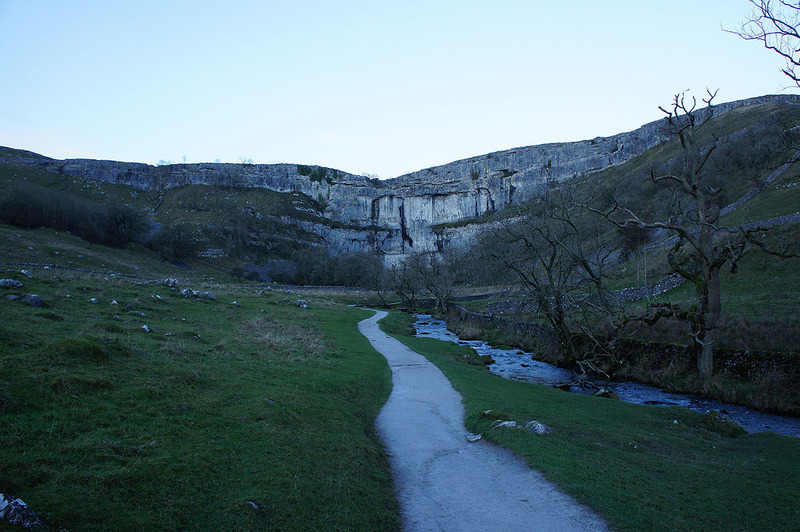 I left Malham by following the Pennine Way south briefly before taking the footpath to Janet's Foss. 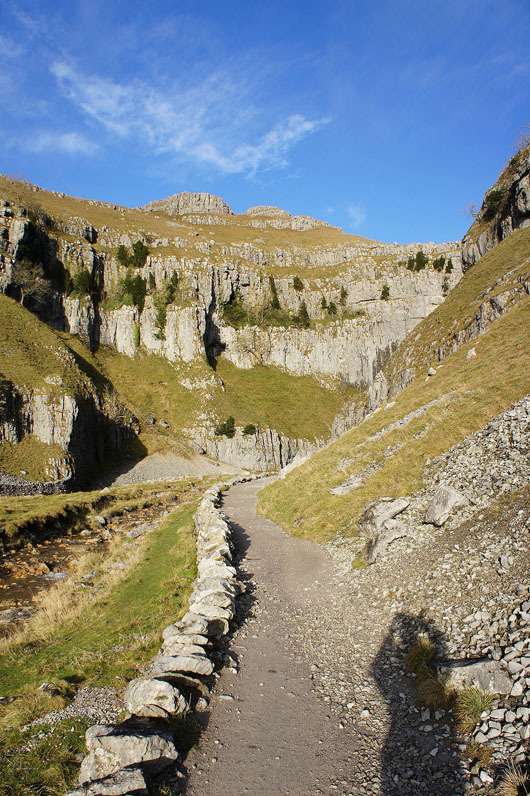 Above Janet's Foss I reached Gordale Lane, a short road walk and I was at Gordale Scar. 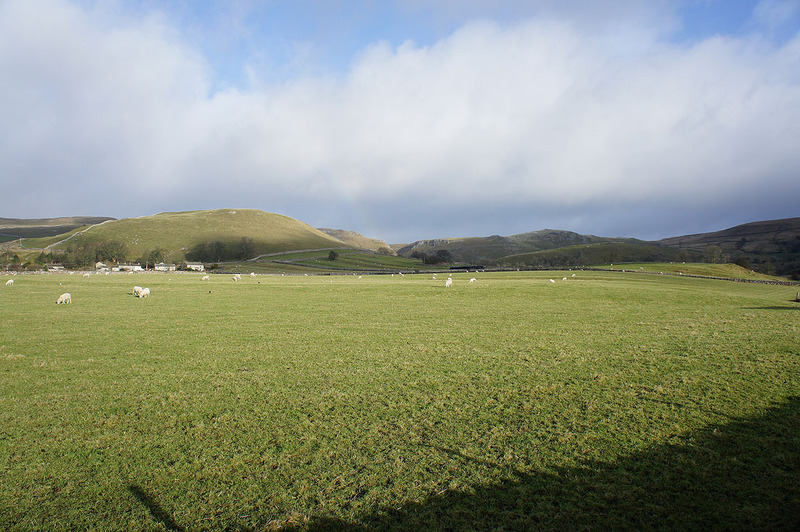 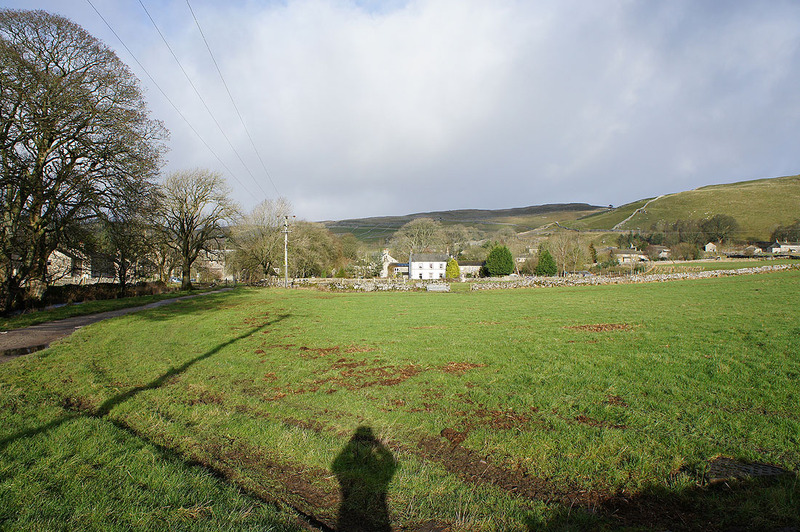 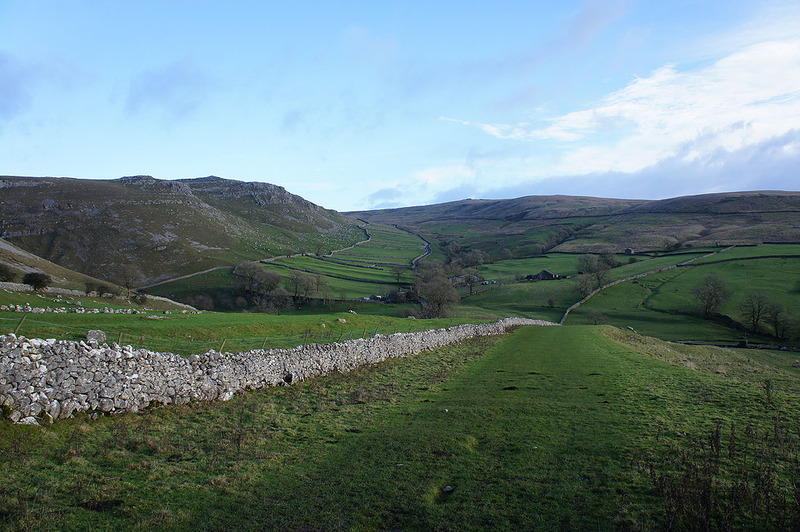 I backtracked from here and took the field path across the hillside to the road of Malham Rakes. 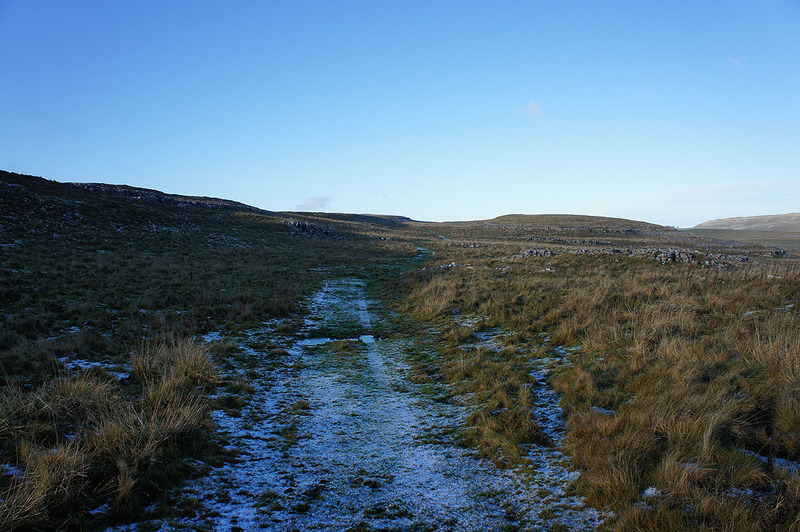 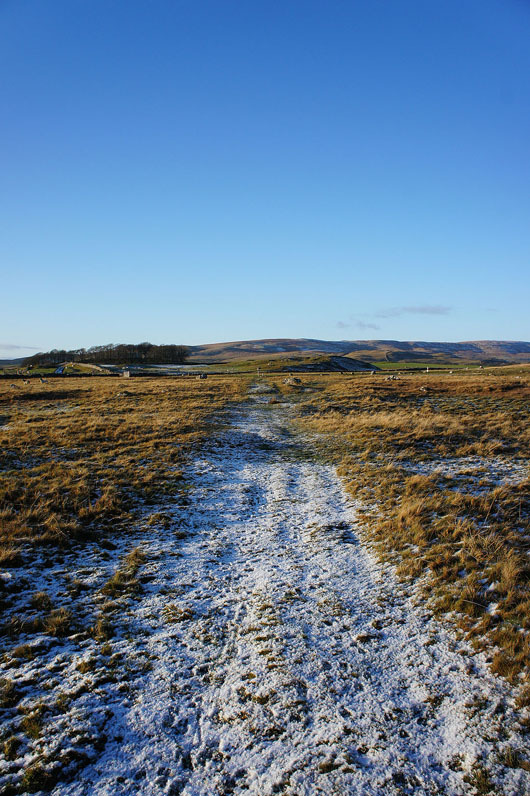 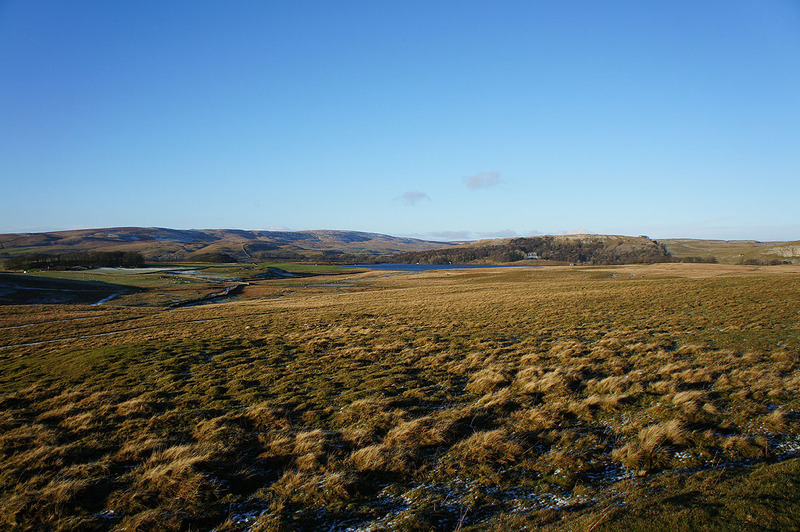 After walking up the road for a few hundred yards I followed the path across Broad Scars to the road below Malham Tarn. 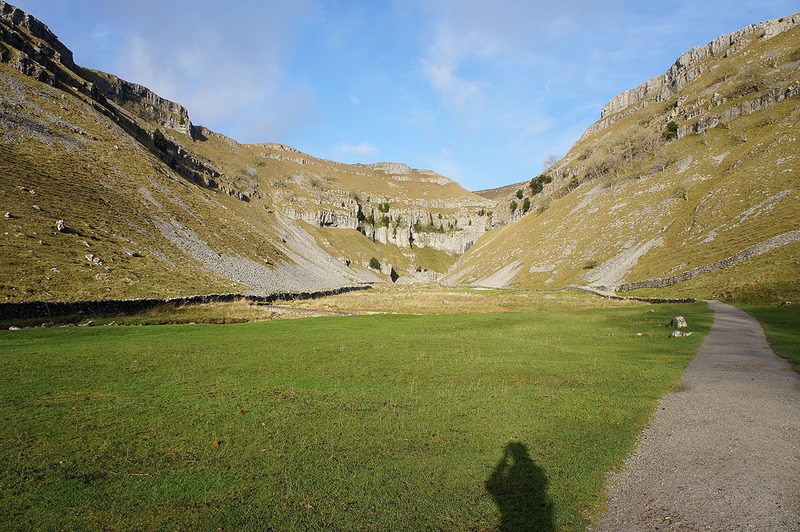 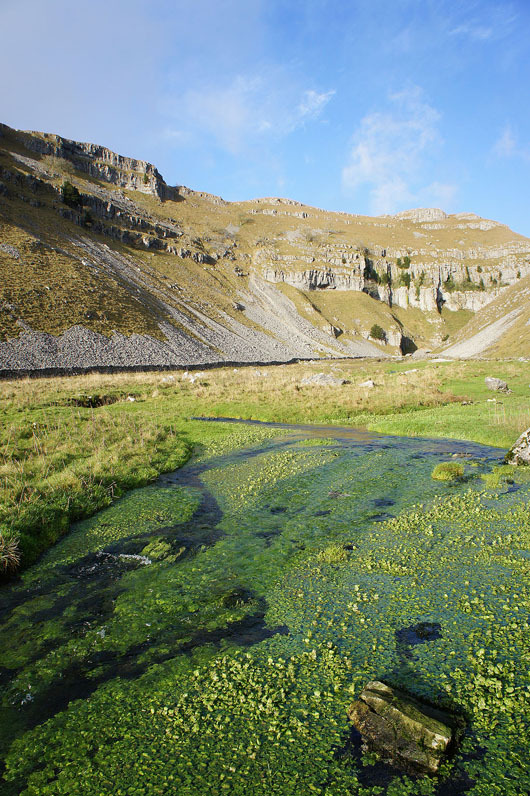 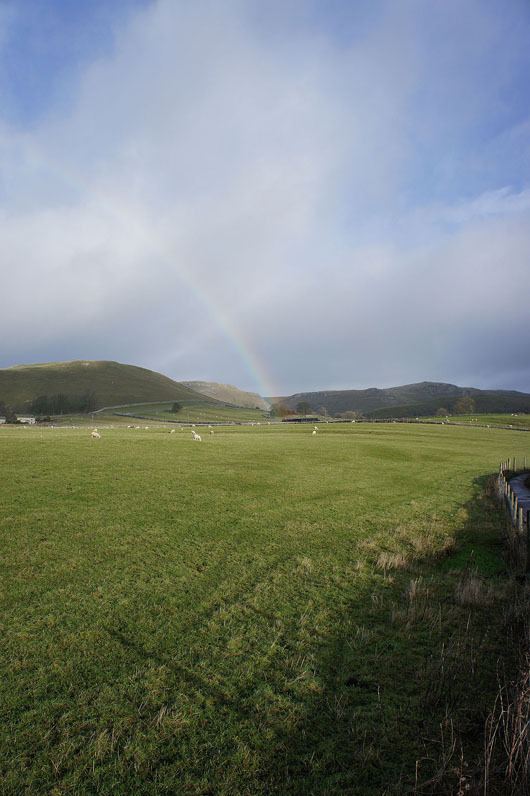 I then followed the Pennine Way back to Malham via Malham Cove. 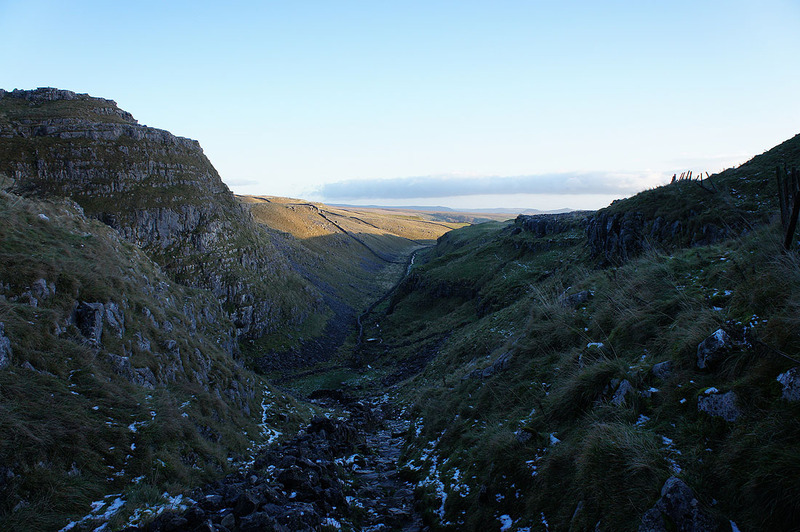 A brief shower passes through..
Gordale Scar. 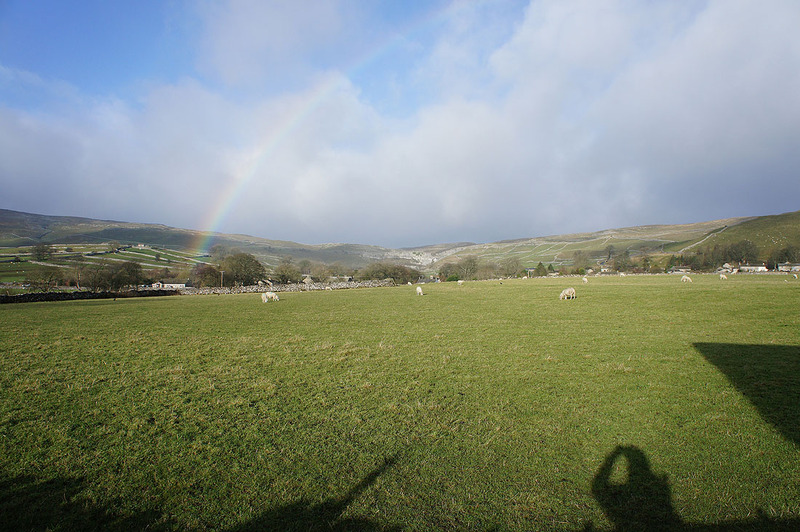 Even at this time of year it's a great place to be, especially with the sun out. 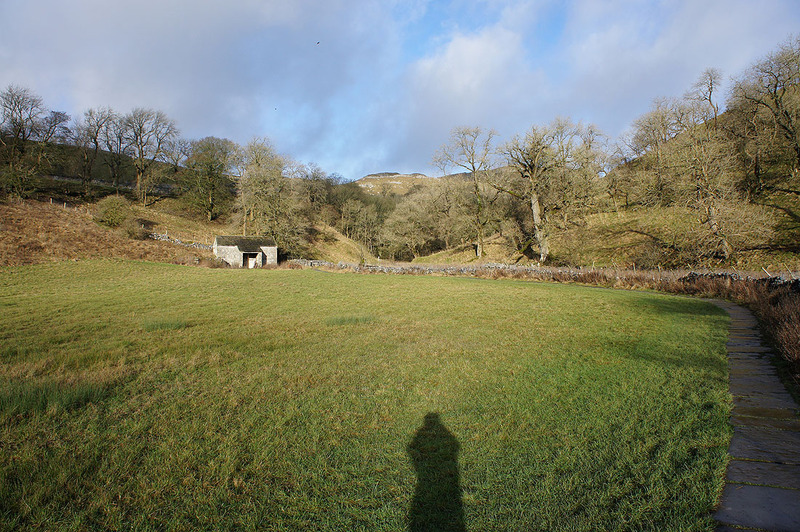 It's certainly quieter than on my previous visits, unsurprisingly the campsite at its entrance was empty. 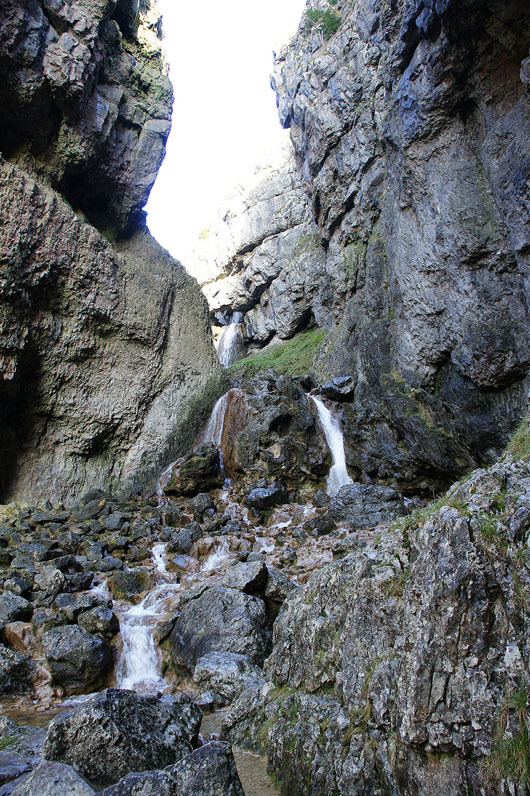 The waterfalls at the head of Gordale Scar. 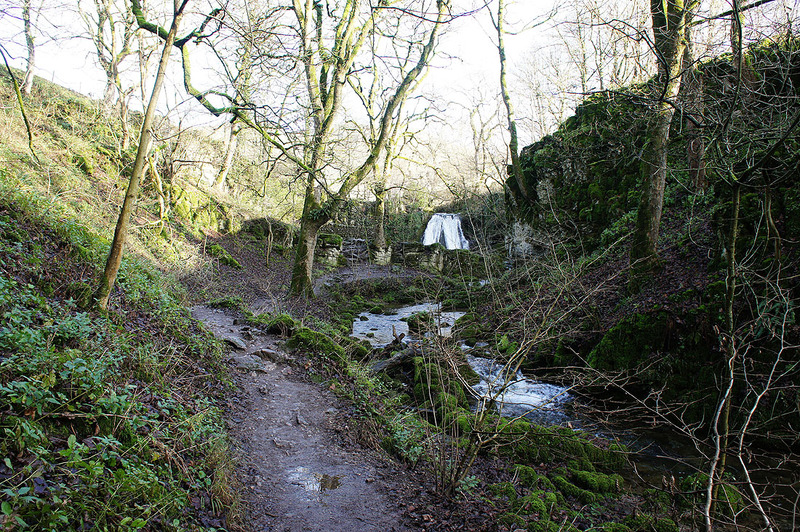 If I wanted my route to continue this way I'd climb up between the two lower falls. 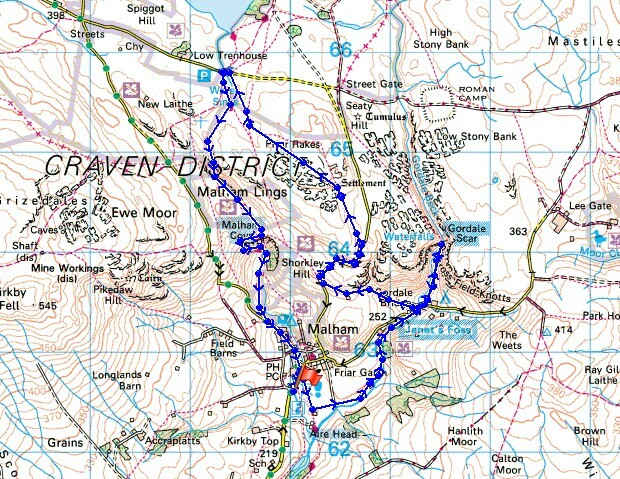 I'm not going that way though, so it's back out to the road. 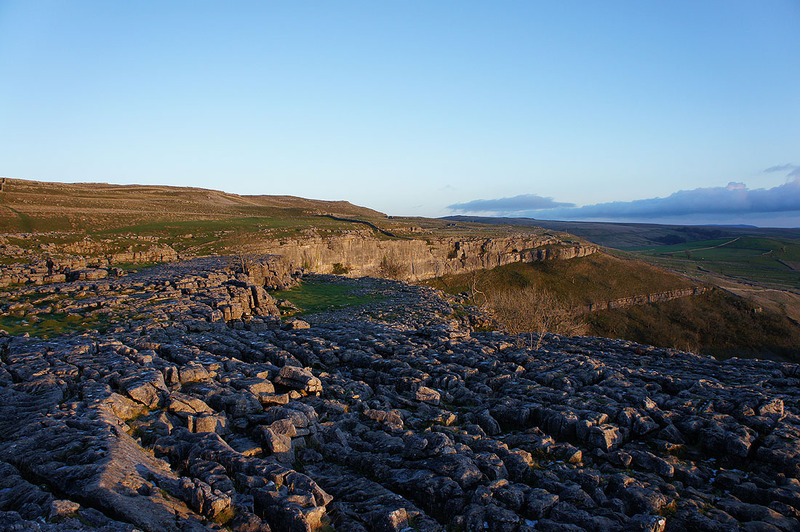 Fantastic light on the limestone pavement above Malham Cove. 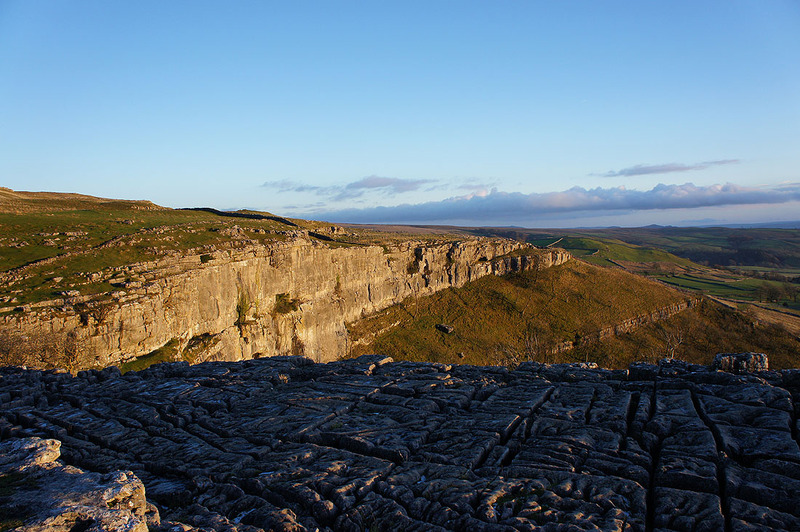 I kept to its edge though, the limestone is damp and greasy at this time of year.